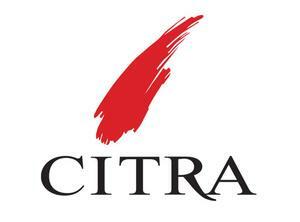 Citra Vini, founded in 1973, is the reference point of a geographical area where viticulture is a common practice. Citra gathers nine winegrowers associations of proven experience, which are all located in a territory with extraordinary potentials, the historic cradle of Montepulciano d'Abruzzo and Trebbiano d'Abruzzo. Chieti is, as a matter of fact, the second Italian province and surely the first in the Abruzzi region for the harvesting of grapes. Since its foundation, Citra's mission has been represented by the gathering of the most important grape varieties within the province of Chieti, whose wine production is selected, controlled and appraised in order to enhance it in terms of quality. "Straw gold with delicate greenish tints. Fresh and pleasant, with lingering citrus notes.Full, crisp, dry and harmonious. "~winery notesSERVING SUGGESTIONSAn ideal companion to cold appetizers and hors d'oeuvres, as well as veal dishes and pork entrées. Serve slightly chilled.